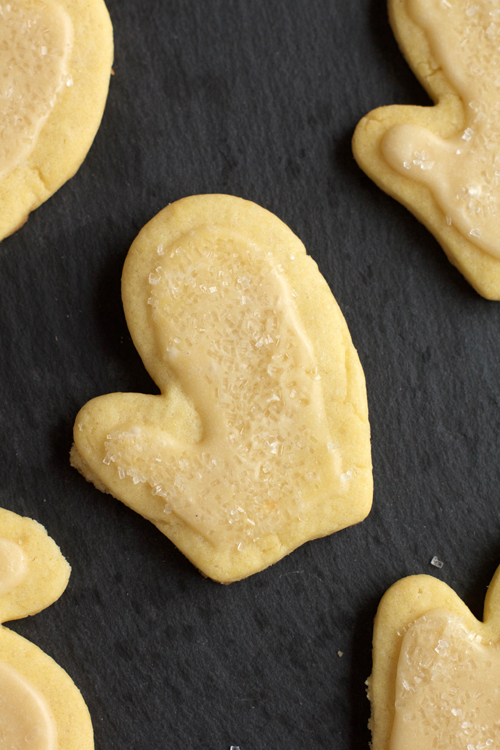 Why serve eggnog with your cookies when you can serve eggnog on your cookies? A friend of mine recently hosted a cookie exchange and I opted to try something new. Rather than a standard simple vanilla icing, I replaced the milk with eggnog, and voila! Instant holiday flavor. 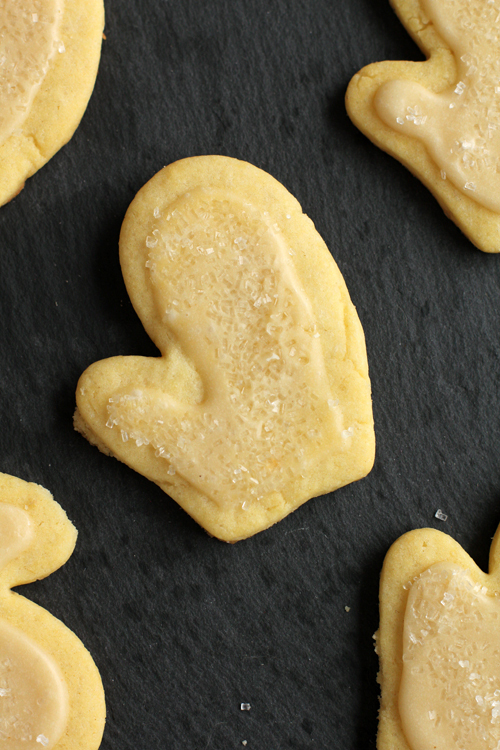 This sugar cookie recipe, flavored with a hint of almond, hits it out of the ballpark. This recipe is easily doubled, if you plan to bake up cookies for a crowd. I find that a single batch (made with the recipe below) provides plenty of cookies for sharing and still enough to keep around the house. There's nothing more depressing than baking a bunch of cookies to share, and not leaving enough for yourself! 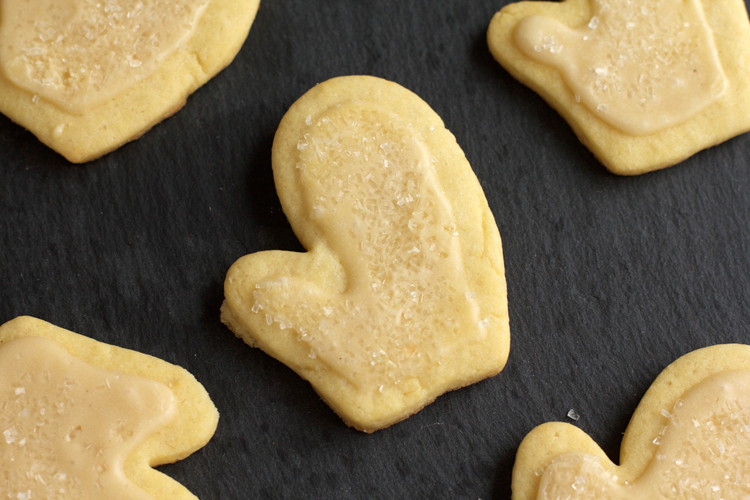 Cutout sugar cookies are definitely a holiday classic – what's your favorite type of cookie to bake this season? 2. Using an electric mixer with the paddle attached, cream together the softened butter and granulated sugar until light and fluffy. Add the eggs, one at a time, beating between additions. Stir in the almond extract. Using low speed, stir in the flour mixture in batches. Stir until just combined. 3. Divide the dough in half. Place one half of the dough on a square of plastic wrap and flatten into a disc. Cover with the plastic wrap. Repeat with the remaining dough. Chill in the fridge for at least two hours. 5. Remove one disc of dough from the fridge. Roll the dough out on a lightly-floured surface until 1/8" to 1/4" thick. Cut with cookie cutters and place on an ungreased baking sheet (I like to line mine with a silpat). Bake for 6-8 minutes, or just lightly browned around the edges. Remove immediately from the baking sheet and set on a wire rack to cool completely. Repeat with the remaining dough. 6. While the cookies cool, make the icing: in a medium bowl, stir together the powdered sugar and eggnog. Use more nog for a thinner icing or more for a thicker icing. 7. Pipe, dip, or spread the icing onto your cookies however you like. Decorate with sprinkles. Icing will set to a soft, but not completely dry, consistency.